On its AdWords blog in May, Google announced that more Google searches take place on mobile devices than on computers in 10 countries including the US and Japan. 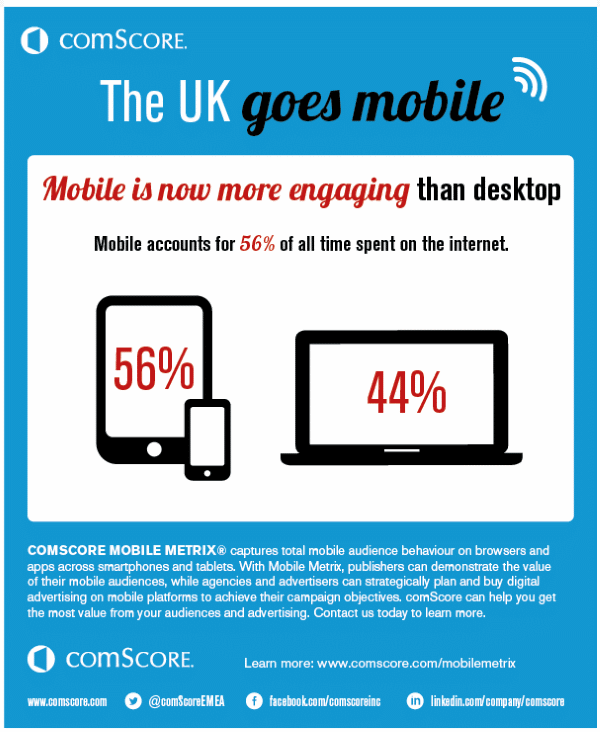 To back this up, in the UK, ComScore has just revealed data about UK audiences’ use of mobiles, desktops and combinations of the two. They revealed that mobile devices account for 56% of the time spent on the Internet, versus 44% for desktops. 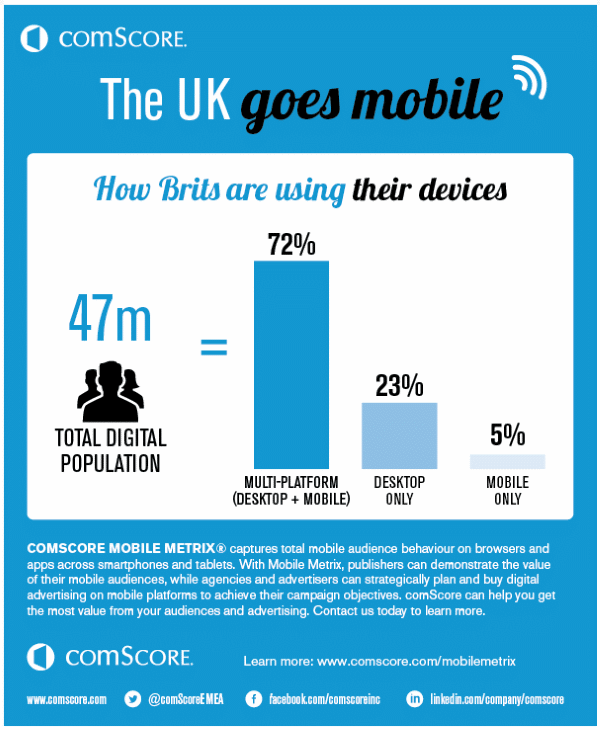 And whilst over 72% of the 47 million large UK digital audience accesses the Internet via more than one device, only 23% exclusively uses desktops, versus 5% for mobile devices. With Google’s mobile-friendly update in April only just gone, this data clearly demonstrates, the importance of engaging customers across multiple devices with mobile-first UX and design strategies. It also highlights the massive importance of data attribution across multiple devices.